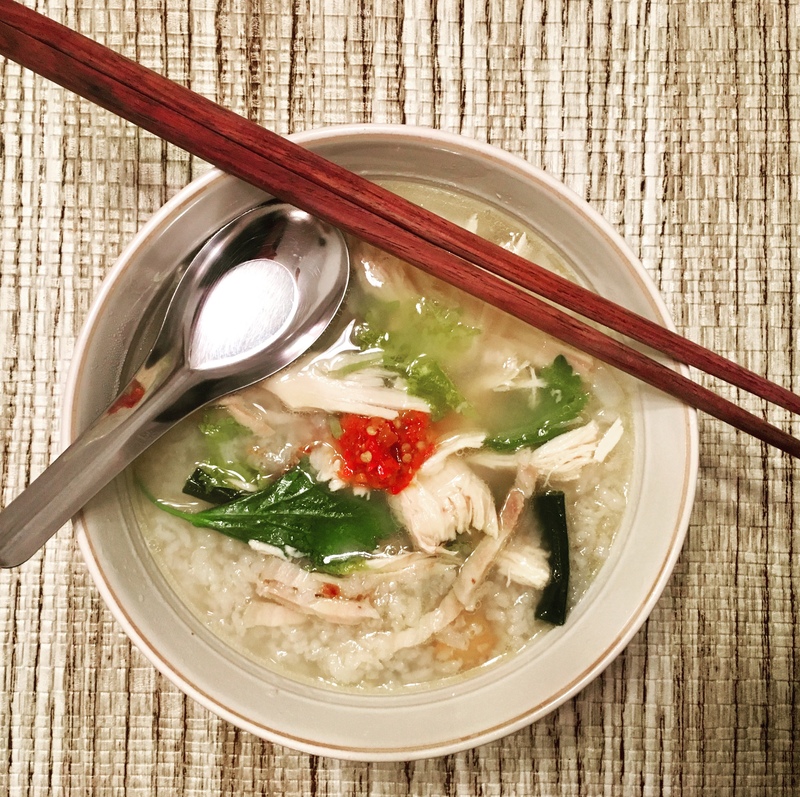 Comfort Food: Homemade Cambodian Rice Soup (babaw) with chicken, pork, and rice noodles. The broth is made from chicken stock, dried shrimp, and dried scallops. It is garnished with fried garlic, chili paste, and celery leaves.